Are You Attracted to Danger? Why are some people attracted to danger? I asked myself this question yesterday morning as I was getting ready for work. As I tidied up my bedroom and made the bed, the TV news reporter’s voice caught my ear. I paused from my chores to watch the footage of four crazy men who had the “brilliant” idea to skydive over an active volcano in Indonesia this week. 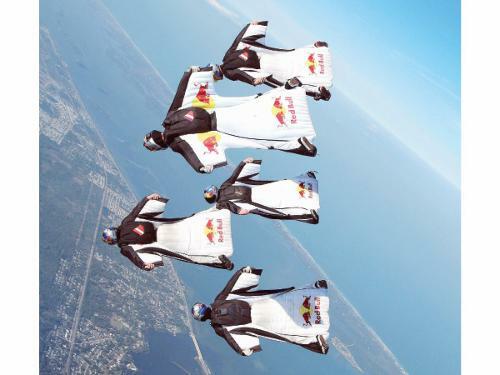 Garbed in wing suits and parachutes, these daredevils dove from a helicopter and soared over Mt. Bromo in the East Java Province of Indonesia. I suppose these men thought they would be relatively safe as the volcano had only erupted three times in the past century with the most recent being in 2011. But who in their right mind would want to chance this? Even with only slight volcanic activity there is always a chance that another eruption could occur at any time. Just this weekend, while attending a Memorial Day picnic, we heard the story of another thrill seeker, this one an airplane pilot. This man was known for his crazy antics in the sky. Yet today you cannot ask him about his feats because he resides in a nearby cemetery. He tried his tricks one too many times and disaster struck. Most of us would not skydive over a volcano or try death-defying tricks in an airplane. Unfortunately, though, we choose to live so close to the edge when it comes to obeying God’s well-established guidelines for a holy and joyful life. Instead of taking seriously the Bible’s warning to stay away from every kind of evil, we often choose to see how close we can get without tempting fate. Just one little look at an inappropriate website, one taste of an addictive substance, or one flash of anger over a perceived wrong can lead to a downward spiral that erupts into full-blown sin. How much safer it is to hold to the Godly conviction of keeping away from evil by putting a huge distance between yourself and temptations. Put controls on your computer and use it in populated places where you will be held accountable for what you view. Don’t attend establishments where substance abuse might be a temptation. Avoid friends that will influence you in unhealthy activities. Focus on thankfulness for what you have instead of desiring what is not yours. Be very choosy about what movies you watch. These are some ways to protect yourself from a dangerous eruption of life’s molten lava. I don’t know about you, but I am not a risk-taking kind of person. I wouldn’t even dream of skydiving over a live volcano. But even if I were a real life daredevil and were attracted to dangerous activities, there is one thing I would be sure to do – stay away from every kind of evil. The risk of getting too close is definitely not worth the thrill!